Late summer to early fall is the ideal window for planting cool season grass seed in the United States. Warm soil temperatures coupled with decreasing sun intensity allows grass seed to germinate easily and develop into robust grass plants before the cold of winter sets in. Although October may be too late to seed grass in the northern parts of the United States, Delaware's proximity to the warm ocean waters combined with a more southern latitude allow successful seeding later into the fall. Rototill the soil to a depth of 10 to 12 inches. Till in equal amounts of peat moss and compost to increase organic matter of the soil. In Delaware, sand is a high component of soil, which makes it very fast draining. Sand, however, doesn't hold many nutrients. Allow the soil to settle for a few days after tilling. Use a grader to grade the soil, or if you have a small yard, a garden rake will suffice. Choose the type of cool season grass you will be using to figure out the seeding rate. Perennial ryegrass and tall fescue should be seeded at 6 to 8 lbs. 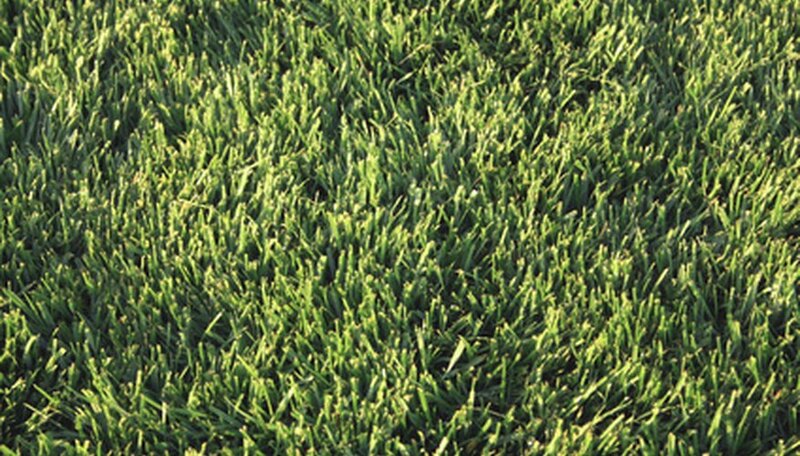 per 1,000 square feet, and Kentucky bluegrass should be seeded at 2 to 3 lbs. per 1,000 square feet. Pour the grass seed into the broadcast spreader, and set the dial to the appropriate application rate. Refer to the seed packaging for setting instructions. Spread the seed over the entire lawn by walking in a back-and-forth pattern. Rake the seed into the top 1/8-inch to 1/4-inch of soil, and mulch with a thin layer of aged straw or hay that is free of seed. Set up lawn sprinklers and irrigate two to three times per day for 5 to 15 minutes each time. The frequency and length will depend on how fast your soil dries out. If the soil is staying on the dry side, increase irrigation; if it's too soggy, decrease irrigation. Mow the grass when it reaches a height of 3 inches. Mow it down to 2 inches in length and continue mowing every five to seven days until the end of the growing season. Reduce watering to your normal irrigation schedule once you begin mowing. Fertilize the lawn at a rate of 1/2 lb. of nitrogen per 1,000 square feet after the first mowing. Keep fertilizing the lawn at half the rate but twice as frequently as the fertilizer bag indicates to induce rapid growth. When broadcasting the seed, you may want to spread half the seed walking in one direction and half the seed walking perpendicular to the first set of passes. This may provide better coverage of seed in the seedbed. Spread the grass seed on a calm day to prevent the wind from blowing your seed out of its intended destination.